About 90% of global trade is moved by cargo ships which are collectively responsible for about 2.2% of the world's total Green House Gas (GHG) emissions (similar to that emitted by international aviation). 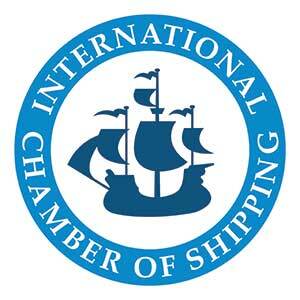 As a considered response to the Paris Agreement on climate change, the world's national shipowner associations – represented by their global trade association, the International Chamber of Shipping (ICS) – have pledged their support for the development of a timeline for the further reduction of the shipping sector's GHG emissions. ICS has proposed that the details of a CO2 reduction commitment should be developed on behalf of the sector, as soon as possible, by the industry's global regulator, the International Maritime Organization (IMO). The goal is to build on the substantial CO2 reductions already achieved by shipping, and the mandatory IMO CO2 reduction regime which is already in force worldwide. Despite their current reliance on fossil fuels, individual ships are becoming far more efficient. But the industry also wants IMO to respond to the challenge of addressing the total CO2 emissions from the sector if demand for maritime trade continues to increase due to population growth and economic development – factors over which the industry has no control. The first step will be a global CO2 data collection system for ships, which IMO Member States will officially establish this October, with full industry support. This system should then become fully operational by 2018. But ICS asserts that, in the same way that governments under the Paris Agreement have set out Intended Nationally Determined Contributions (INDCs) for reducing the total GHG emissions by their national economies, IMO needs to do something similar on behalf of the international shipping industry, even though it is a sector and not a country. The Paris Agreement on climate change makes no explicit reference to international transport. But the UNFCCC Kyoto Protocol, which is still in force, makes clear that both the shipping and aviation sectors have a responsibility to reduce their GHG emissions. Shipping's current share of the world’s CO2 emissions are a reflection of the fact that shipping is a truly enormous industry transporting almost 10 billion tonnes of cargo a year. It may be out of sight, but international cargo shipping (about 70,000 ships) keeps the world economy running, transporting energy, food and raw materials, as well as most of the world's manufactured products.